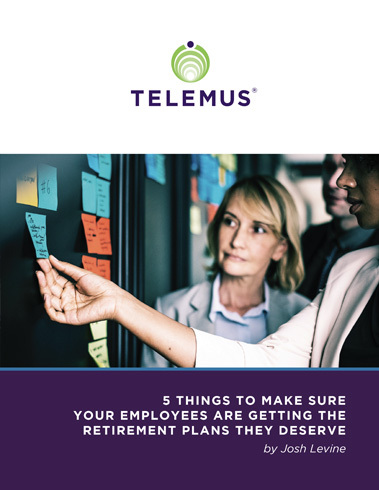 Telemus Senior Financial Life Advisor and Partner Josh Levine explores the ways to ensure your staff are supported with retirement plans that work for everyone, from the highest-compensated executives to support staff. Learn how having a fiduciary for your business can help you retain the best employees. Because retirement plans can span decades, helping your employees keep information on their accounts up to date is another way to keep their best interest in mind. Learn how to avoid costly mistakes and the best type of plan for your business type and size, to ensure you’re designing a retirement plan that works for everyone. © 2018 TELEMUS FINANCIAL LIFE MANAGEMENT. ALL RIGHTS RESERVED.